Last ride on the Donohue's 105 groupset yesterday, & it went out with a bang on a hilly 125 mile ride in the Dales. Today, I'm WFH & wrestling with some horrendous build issues (I'm a software engineer), so in the gaps between those failing, I'm sneakily getting in some more fun building instead. First does need a bit of a clean though. Great stable, looking forward to seeing the Ultegra on the Donohue. What's the stem I.D on the Don? Might just be the length but it looks like it has a relatively slim profile. Cheers! I've had a busy week, so still need to index, cut cables & tape the bars. 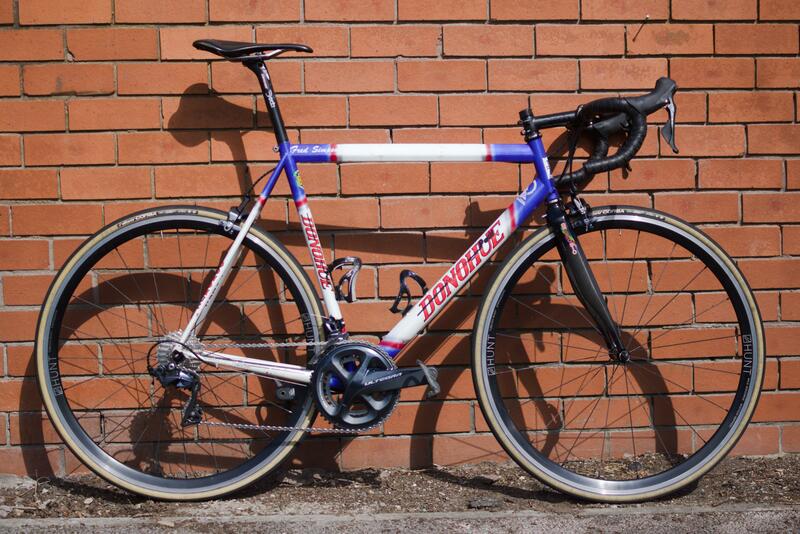 Undecided on bar tape, might go for something tackier than the Fizik soft touch stuff I usually use. Hopefully getting it finished next week. The stem is a 130mm Deda Elementi Superleggero. I managed to get it for £30 on Facebook & is a bit silly in its length, but I changed to compact bars too so it feels fine. I really like the stem, it's quite sleek & suits much better than the Fizik one I had before. Cheers, yeah it's very nice but wow that retail price! £30 was a score. I like supacaz tape, it’s a bit tackier than fizik and comes with sweet bar end plugs. Cheers! It really does need a strip & a respray at some point - thankfully Bob Jackson is just across the valley. It's one of those jobs which I'll get around to at some point as it's not super concerning - the current paint is good quality & is pretty tough, so is protecting the frame well. It's just starting to look a bit worn after probably twenty five years of riding. Love the style on it though, fades are fun. Yeah, i wasn’t considering a respray but kinda deep clean and polishing. However if you do paint it, go for a nice green racing or purple ! WFH again today, so finished off the last bits at lunch. Put the full carbon fork on my brother gave me a while back & it feels really quite light now (I'm not really all that used to light bikes though)! Looking forward to riding it! Am away for the next four days on the Croix de Fer though, cycling up to Kielder for Dirty Reiver. Edit: Oh & I know @TM will complain about the front brake nut - can't find the medium length one I have somewhere, will find it at some point though. Cheers! Ultegra R8000 feels like lovely kit just from installing it. Looks good, glad you found a use for those forks. 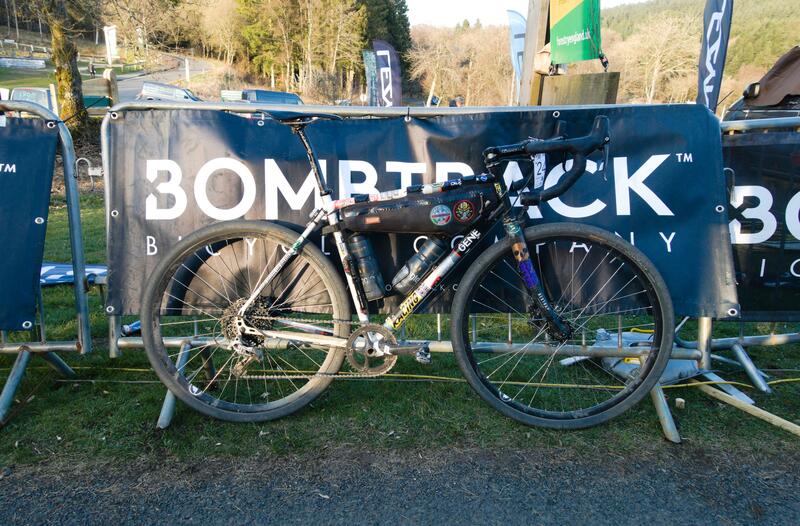 Wrote up a bit of our Dirty Reiver experience. Croix de Fer performed perfectly except for the shifter giving me a bit more stress than I was after on the way in (got so stiff it required two hands to shift, thankfully easily resolved with a dumping some wet lube into the shifter). Slicks worked way better than expected. I still need to get better at more-technical-than-road descending, but at least I can catch up on the climbs. Was just about to take the Donohue out for its first foray & was redoing the cleat positioning to avoid causing heel rub on the new cranks. 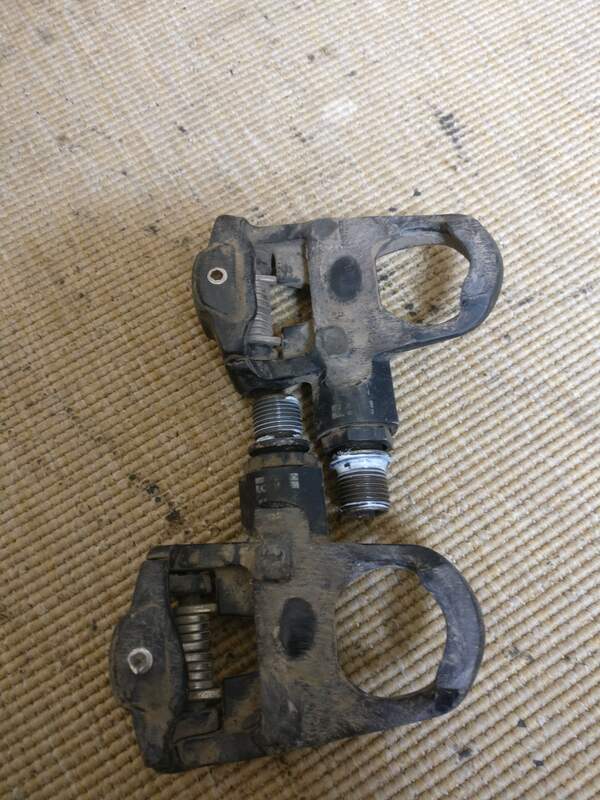 Looks like I need new pedals - seems I've ripped a chunk off the clip on the drive side pedal. Was wondering why they felt a bit floaty, barely clips on! Anyone got any LOOK Kéo recommendations? The more I think about it though, I have worn through three sets of road shoes because the heels couldn't keep up with the walking, & my current set are currently fixed with a dab of glue on the heel - not the best look. I was really happy touring on my road bike on SPDs last year, & with doing more all-road type cycling, I'm kind of swaying towards just sticking with SPDs. 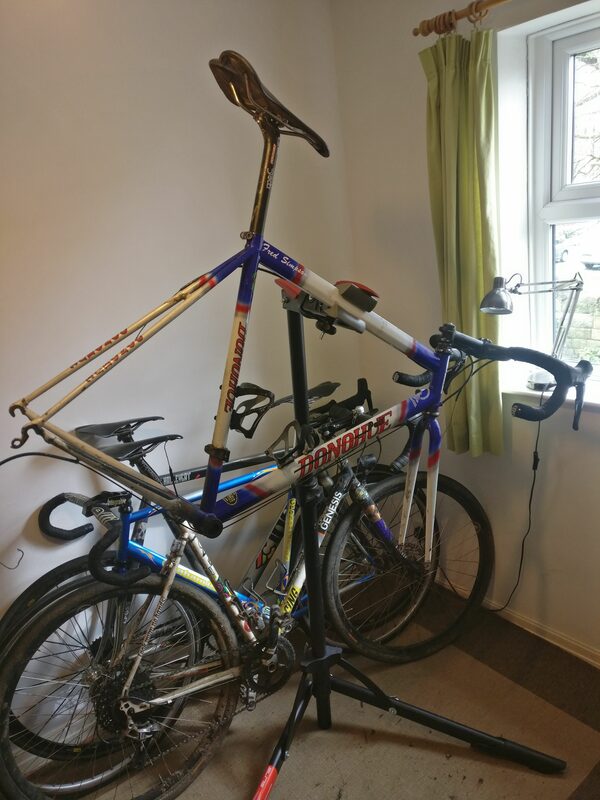 Don't want to invest further in a system which I essentially only use on one bike. I read somewhere on here that the Shimano PDA600s were pretty well regarded. Might give those a shot instead. Would certainly look better than whacking a set of M520s on.